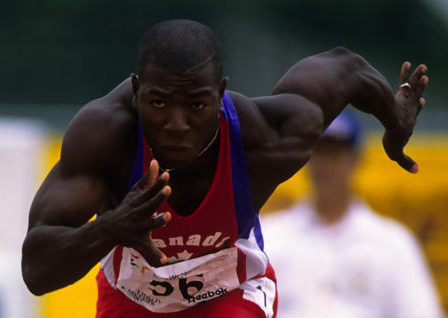 What seems to impress people most about Glenroy Gilbert is the gold medal. 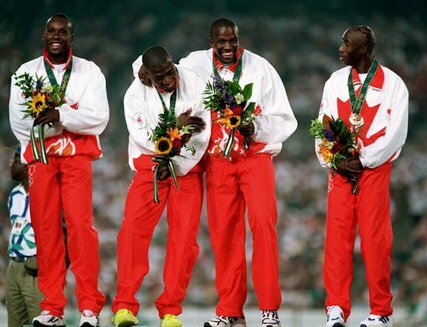 The incredible performance he delivered in Atlanta as part of the 1996 Olympic Championship 4 x 100m relay team. But when you talk to him, it quickly becomes clear that he doesn’t define himself by the hardware he’s earned. What matters to him is giving his best in everything that he does—regardless of the outcome—and encouraging others to do the same. I know firsthand that Glenroy makes good on his promise to help others succeed no matter what their ability. 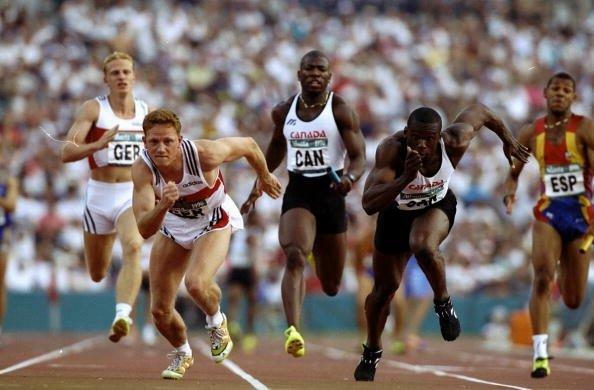 As a coach with Athletics Canada, he’s used to working with some of the country’s top sprinters. Glenroy also volunteers as a coach with the Ottawa Lions Athletics Club, which is where I met him. Even after seeing me come in dead last in my heat (or maybe because of it), he offered to help me with my start “anytime.” He says that a lot, and from what I’ve seen, he always comes through. Learning how to set up and come out of the blocks from Glenroy Gilbert is quite an honour. The fact that I had that opportunity as an injured 30-year-old novice track runner says a lot about his character. He took the time to help me, even though it was very clear that the only way I’d be getting to the Olympics was as a spectator. I didn’t see any ego from Glenroy. Assertiveness, definitely, and the calm confidence that tends to accompany being comfortable in your own skin. But he’s a very accessible man who smiles often and easily, and isn’t above coming to track with traces of nail polish on his pants left by his two young daughters, Ella Grace and Sadie. It’s impressive that Glenroy has managed to stay humble and grounded, because he’s one of our country’s greatest athletes. 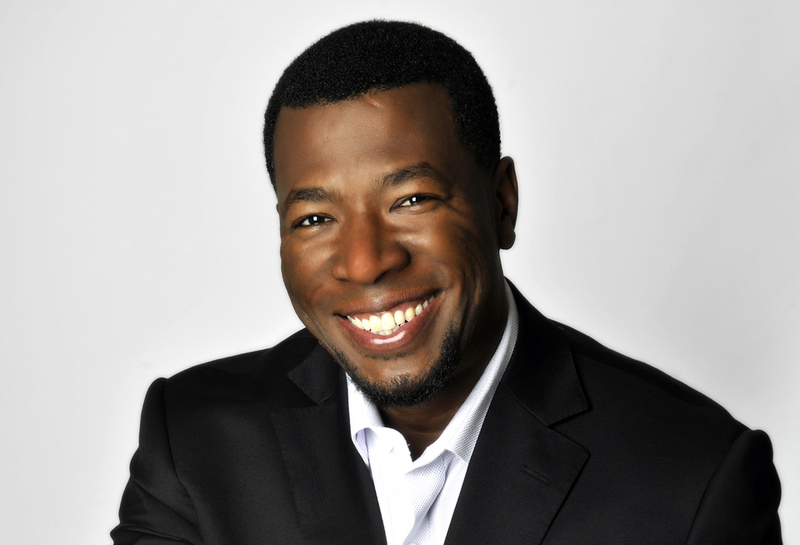 Inducted into the Olympic Hall of Fame in 2004 and Canada’s Sports Hall of Fame in 2008, he has participated in seven Olympic Games—five as an athlete, two as a coach. Glenroy says he knew his team had won as soon as the baton was passed to Donovan Bailey, who was running the final leg of the race. Donovan was the Olympic 100m champion, and with the six-metre lead his teammates had gained, there was no way anyone could touch him. The fondest memory Glenroy has of the Atlanta Olympics wasn’t taking the podium or receiving his medal—although he readily admits that hearing the national anthem was an overwhelming and humbling experience. What touched him most was taking the victory lap. It was then that he was really able to connect with the people in the stadium, to see their faces and absorb what an incredible experience they’d just shared with him. Now, as a coach, Glenroy is committed to instilling those values in his athletes. Whether working with the Olympic hopefuls and competitors he trains through Athletics Canada, or the amateur athletes he volunteers to coach through the Ottawa Lions, Glenroy is devoted to helping others benefit from his experience. “To be able to impart some of the things I’ve learned over the years to young developing athletes is the best possible thing I could do,” he says. When Glenroy first started competing in track and field as a hotheaded teenager, he believed he’d find fulfillment from winning an Olympic gold medal. He spent more than a decade working towards that goal, but when he finally met it, he realized that the feeling he’d been chasing wasn’t tied to the medal. Ultimately, Glenroy found what he’d been looking for when he became a father. He says that his greatest joy and fulfillment comes from watching his daughters grow and being able to be the kind of parent to them that his mother was to him—encouraging them to work hard and always do their best. For more on Glenroy, email ggilbert1@rogers.com or follow him on LinkedIn. You can also check out his new website, goldenformfitness.ca. It was a pleasure to have the opportunity to work with you when I was first coming in to the sport of Track and Field. You amazed me with how graceful and soft spoken you were and I have always thought of you as an idol. You are a true role model for the sport. I wish you success and happiness. Just wanted to leave a message to you and the 4×100 men’s team. We are all very proud of you and, as far as I am concerned, you are winners in every way, not just as runners but as class acts in every way. Your time will come and soon. To Glenroy and the 4 x 100 team: I was so excited to watch the team come across the line in 3rd place, and then so impressed at the interview with the 5 of you on CTV… I watched it a few times and was so proud of all of you; you definitely represented Canada with class.